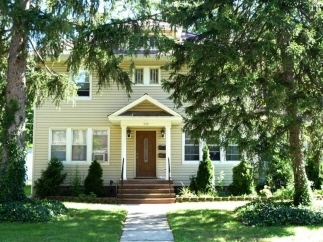 FULLY RENTED 2-FAMILY CONVENIENT TO EVERYTHING -JUST MOMENTS FROM TOWN, SCHOOLS, PARKS & NYC TRANSPORTATION... IN THE DESIRABLE TOWN OF WESTFIELD! 1ST FLOOR UNIT OFFERS 3 BEDROOMS, 2 FULL BATHS, LIVING ROOM, DINING ROOM, EAT IN LKITCHEN, FULL BASEMENT W/ LAUNDRY & STORAGE. 2ND FLOOR UNIT OFFER 1 BEDROOM, 1 FULL BATH, LIVING ROOM, KITCHEN, LAUNDRY & WALK UP ATTIC FOR STORAGE. HARDWOOD FLOORS, FRESHLY PAINTED, ONE CAR DETATCHED GARAGE, AMPLE CLOSET STORAGE AND A PRIVATE BACKYARD ARE JUST SOME OF THE HIGHLIGHTS THAT COMPLETE THIS SPECIAL HOME. THIS IS A MUST SEE!